Unlike class, weapon, racial or armor skill lines, World skill lines are for the most part obtained throughout Tamriel by exploring the — you guessed it, the world. All players start with Soul Magic, a fairly simplistic skill line with one active and one Ultimate spell. The other two skill lines include Vampire and Werewolf, both obtainable by any character and mutually exclusive (you can’t be both a vampire and lycan). Below is a list of all active, passive and Ultimate spells in each of the World skill lines! Soul Strike- Deals magic damage over time and snares your target by 70% while active. Soul Assault – Increases duration by 1 second. Shatter Soul – If the target is killed it explodes and damages nearby enemies. Soul Trap - Deals magic damage over 10 seconds and fills a soul gem is the enemy dies while affected. Soul Splitting Trap – Fills one additional soul gem. Consuming Trap – Restores health, stamina and magicka if target dies while afflicted. Soul Shatter – Player’s soul explodes on death causing magic damage to all nearby enemies. Soul Summons – Allows you to revive without expending a Soul Gem once every 2 hours. Soul Lock – Weapon kills have a 5% chance to automatically trap souls. Obtained in the world, Vampirism contains several abilities that allow you to restore health, deal damage, crowd control enemies or mitigate damage. This skill line can be particularly effective on Nightblades. Drain Essence - Stuns target for 3 seconds and deals magic damage to it, while recovering 150% of the damage dealt as health and stamina to you every 1 second. Invigorating Drain – Also recover Ultimate. Midnight Drain – Recovery is more effective at night. Mist Form- You take 75% reduced damage from all sources and are invulnerable to healing and crowd control effects for 3 seconds. Elusive Mist – Increases your movement speed in mist form. Poison Mist – Damages nearby enemies. Bat Swarm- Summons a swarm of bats dealing damage to all enemies around you. Clouding Swarm – Also grants you additional invisibility. Devouring Swarm – Gain life for every enemy hit. Savage Feeding – After feeding your target is off-balance and stunned for 2 seconds. Supernatural Recovery – Increases magicka and stamina recovery by 5%. 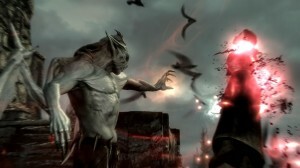 Blood Ritual – Allows you to turn another player into a Vampire once every 7 days, giving them the Vampire skill line. Undeath – Increases damage mitigation by up to 50% when you are below 30% health. Unnatural Resistance – Health recovery is improved in Vampirism stages 2 through 4. Dark Stalker – Increases your movement speed while sneaking and allows you to enter stealth more quickly at night. Rather than turning into a sneaky vampire, you can become a fearsome beast with claws and everything. Shredding your enemies as a werewolf is very fun, and lycanthropy also allows you to turn other players into werewolves. You can find a list of passive and active spells in werewolf skill tree below! Werewolf Transformation- Transforms you into a werewolf and causes nearby enemies to run in fear. Increases your stamina, armor and run speed. Pack Leader – Allies gain ultimate faster. Werewolf Berserker – Increases attack speed with each hit and adds bleed damage. Pounce - Leaps to your target dealing physical damage and stunning off-balance targets. Brutal Pounce – Deals damage to all enemies in the area. Feral Pounce – Every use increases time in werewolf form. Roar - Causes fear, disorientation and off-balance to 3 nearby enemies for 3.5 seconds. Ferocious Roar – Killing feared targets leaves nearby allies off-balance and disoriented. Rousing Roar – Increases weapon power of nearby allies. Pursuit – Increases stamina by 10%. Blood Rage – Generates 2 Ultimate by taking damage in humanoid form. Devour – Devours humanoid corpses to extend time in werewolf form. Savage Strength – Increases max stamina by 3% for every kill, stacking up to 5 times. Bloodmoon – Allows you to turn another player into a Werewolf once every 7 days, giving them the Werewolf skill line. Call of the Pack – Allows allies to remain in werewolf form for 3% longer. Affects up to five targets and stacks up to five times. Transforming into a werewolf or vampire requires your Ultimate slot. Vampires take 50% more damage from all fire sources (and there are plenty of those: Dragonknights, siege weapons, fire staves, Fighters Guild skill line). You also have decreased health regeneration, especially if you’re not feeding often. As a werewolf you have a weakness to poison damage (50% more poison damage taken, even when not in Werewolf form). You also have next to no defensive spells. As such archers can very quickly burn down your health in PvP, but luckily poison-based attacks aren’t very common making this a more attractive skill line than Vampire. Your damage when in werewolf form is based on your max stamina. Vampires are considered “Undead”, so any abilities that deal extra damage to undead enemies will affect them as well (i.e. Silver Bolts in Fighter’s Guild skill line). Overall players with skill points in Fighters Guild skill line are very effective in tracking and killing both Vampires and Werewolves. If built correctly vampires can be extremely difficult to detect in PvP, but are overall not particularly popular due to the fire vulnerability. You can be a member of Fighters Guild and also be a werewolf or vampire. You can “heal” Vampirism and Werewolf, essentially removing the skill trees and penalties. If you wish to learn what builds utilize Werewolf and Vampire skill lines to most effect I recommend reading Killerguide. It included class builds that are equally effective for leveling, dungeons and AvA combat. As a note, vampirism does not require an ultimate slotted to have access to the skill line. But it does have an epic ultimate. 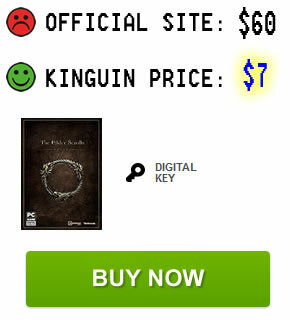 A correction: World skills are not obtained by exploring Tamriel. 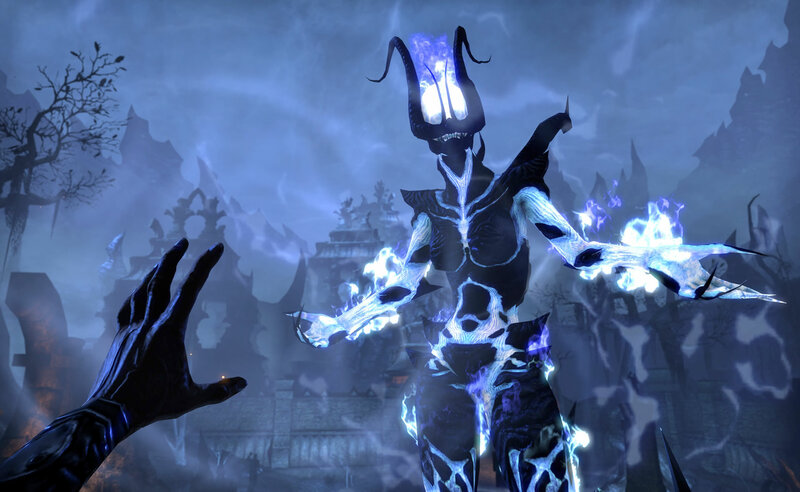 Soul Magic is available at character creation, and is leveled up by completing chapters in the Main Quest. 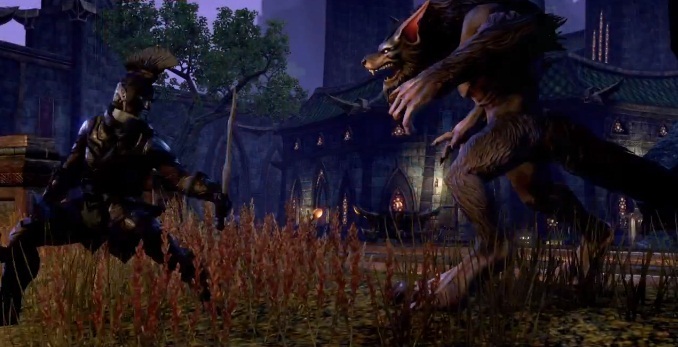 Vampire and Werewolf lines are obtained by fighting certain rare monster spawns, and are leveled up with standard xp (for vampires) or from kills in werewolf form (for werewolves).